Day 22 of my World Cup 2018 concept series, Portugal. 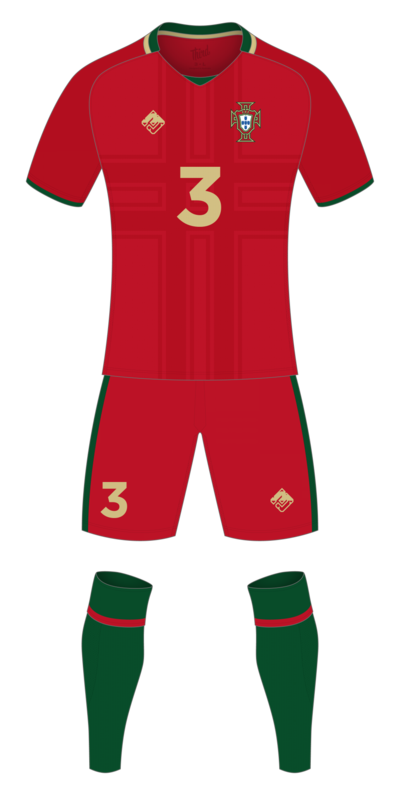 Portugal is one of those kits that I didn’t really want to change, I like the simplicity of the red and green, but I couldn’t just upload a plain red kit with some green trim, could I. What I ended up going with was a slight two-tone red jersey – the sleeves are slightly darker – with a cross (in the same darker red) loosely based on their crest (which I also re-coloured slightly, changing the black to the green from the kit to tie it together). Paired with red shorts and green sock to complete the kit.